FIFA chiefGianni Infantino has claimed that Qatar neighbours could ultimately join hands to host the 2022 World Cup. This tournament will encompass 48 teams and it is a substantial increase over the previous editions which featured only 32 teams. As a result, there will be plenty of requirements for stadiums across the host nation. It would allow 64 matches will be played at eight different stadiums over the course of 28 days.Qatar has been in a rift with neighbours, who have boycotted all forms of economy and travel with the oil-rich state. 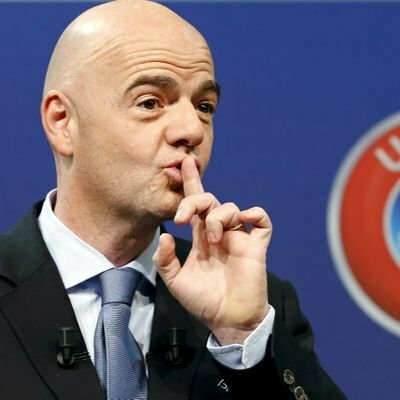 Infantino admitted there was tension between countries like the Bahrain, United Arab Emirates, and Saudi Arabia. However, he says that the possibility of sharing games is quite feasible and that leaders should consider giving it a try since it would send a good message to the world. The FIFA chief has compared the situation to the 2026 World Cup edition, which will feature games hosted jointly by Canada, United States, and Mexico. Even though the three countries are involved in several trade disputes, they have joined together in order to host the event. At the same time,Infantino admitted that it is highly unlikely that most of the Middle East states will be joining hands with Qatar considering that they have little to gain from such an arrangement. “The relations were a little bit tense right between these countries. It’s something that’s comparable with the Gulf region. But for me, you know if there is a possibility [of sharing games], if there is a chance at least to even discuss, we should try. This is something that would probably be a nice message.When we speak it remains between us of course.What is, I think, important is that he told us, ‘Let’s continue the discussions together and see if this can [work]’,” said Infantino.